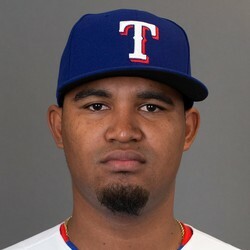 Yohander Mendez (2-1) pitched well in the win against the Padres on Friday. He went five innings, allowing just three hits and three walks with no earned runs and five strikeouts. Mendez did not get the start but came in relief of Connor Sadzeck to begin the second and got the Rangers into the seventh. Mendez has been pitching well of late and could be worth an add in deep AL-only formats for owners desperate for pitching.